All My Love Crafts: Using New Paper Pumpkin Stamps and Day 5 of the Fall Coffee Lovers Bloghop! 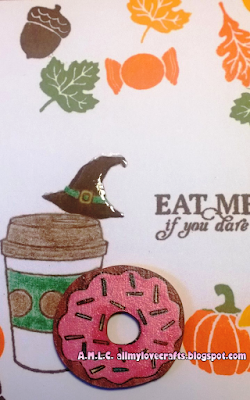 Using New Paper Pumpkin Stamps and Day 5 of the Fall Coffee Lovers Bloghop! It's Day 5 of the Fall Coffee Lovers Bloghop. 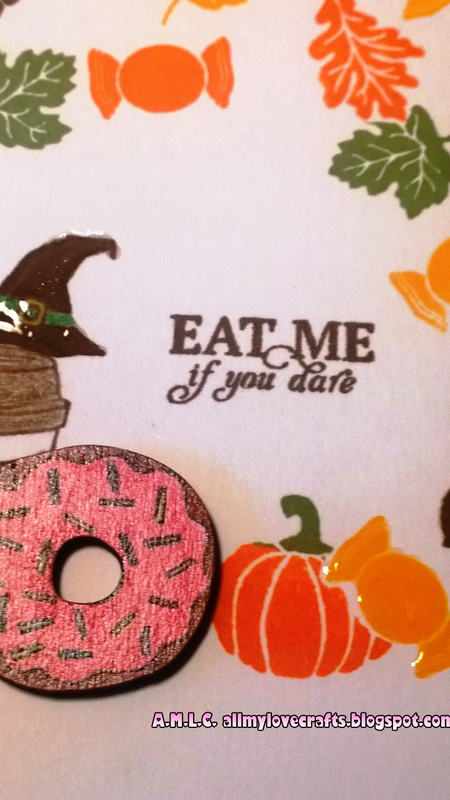 A clean and simple (CAS) card with little to no layers was the goal for today's card. I love the thickness of Recollections 110lb card stock from Michael's craft store. I used my MISTI stamp tool to stamp directly onto an 8.5" x 5.5" piece of this heavyweight card stock. The color is so rich using these Hero Arts Mini Cube Inks! I chose Orange Soda, Butter Bar, Field Greens and Cup-O-Joe inks. 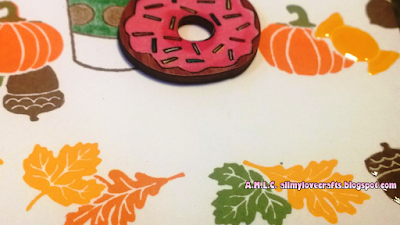 The stamps are from my September 2015 Paper Pumpkin subscription box and the latte cup stamp is from Fiskars Latte Love. 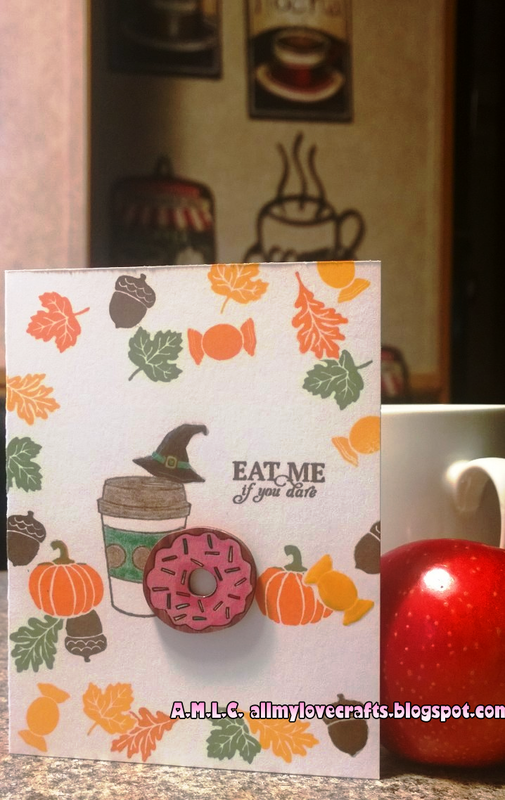 The wood veneer doughnut is from Coffee Break veneer set by Prima Marketing that I found at Hobby Lobby. Link up your fall coffee/tea/cocoa creation HERE by October 2nd for a chance to win fun paper crafting prizes and please leave me some comment love! Enjoy! Coffee Break Wood Veneers by Prima Marketing Inc.